Hebron honors its war veterans with several monuments on its Memorial Green. 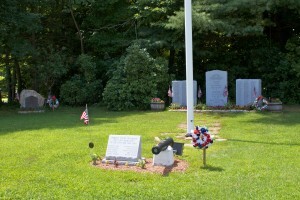 The green, near the intersections of Route 66 (Main Street) and Route 85 (Church Street), features four memorials to veterans from the Civil War, the World Wars, Korea and Vietnam. 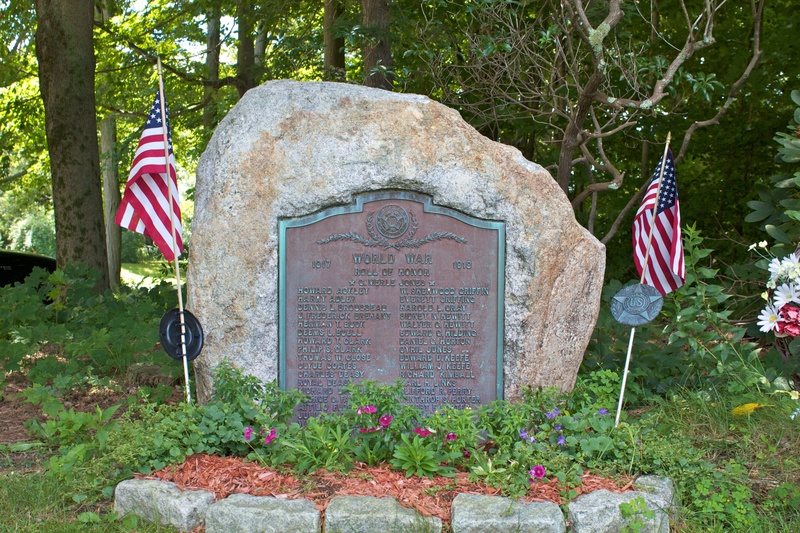 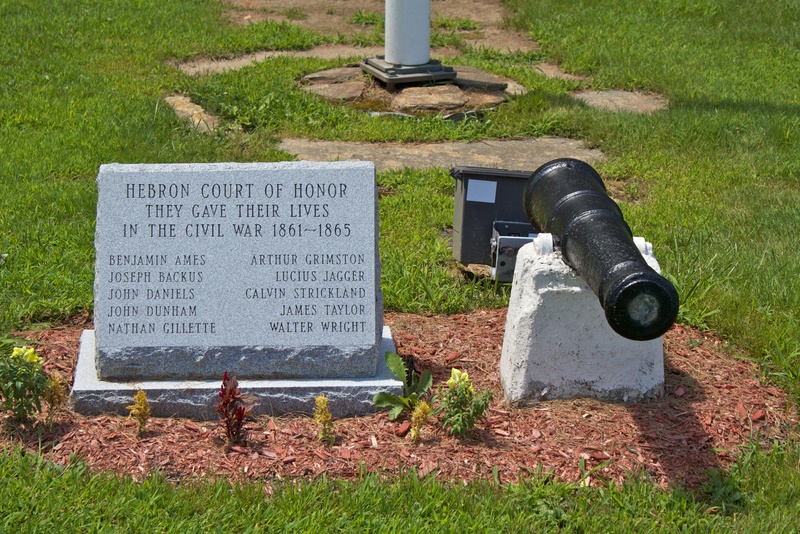 The newest monument on the green, honoring Hebron residents who died while serving in the Civil War, was dedicated on Memorial Day, 2011. 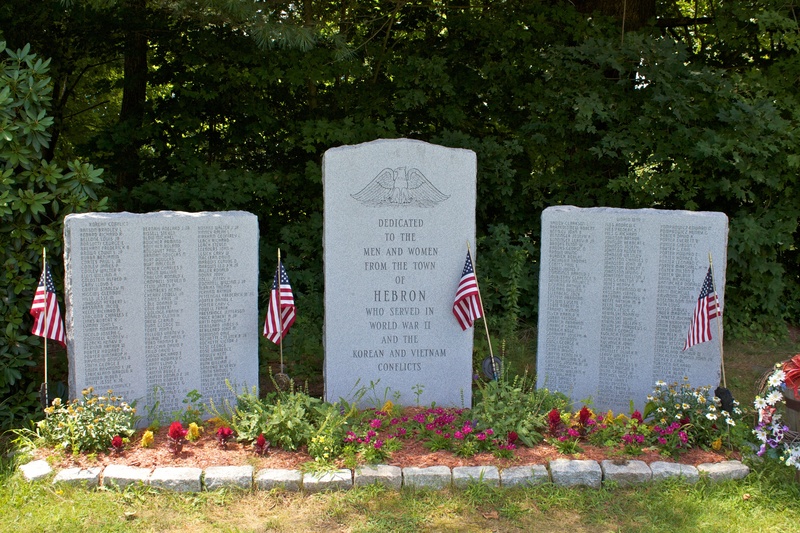 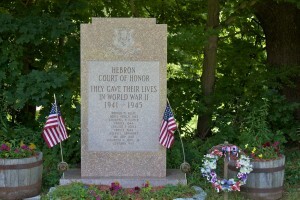 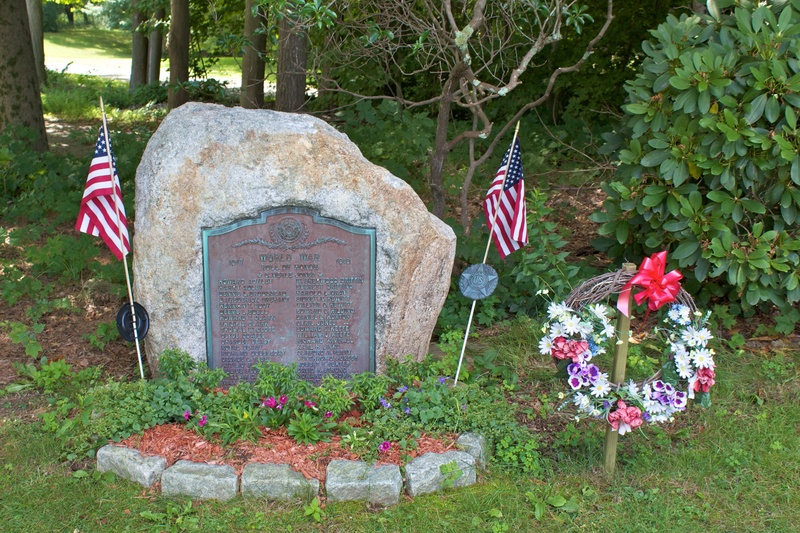 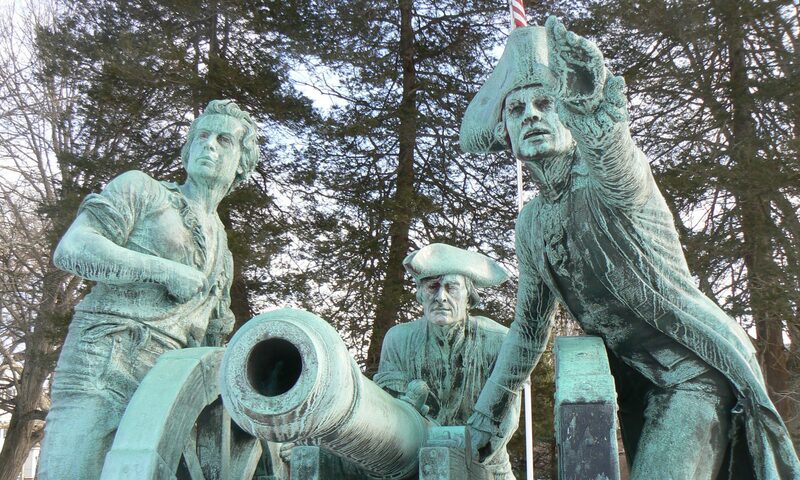 The monument features a granite marker with a dedication on its east face reading, “Hebron Court of Honor. They gave their lives in the Civil War 1861-1865.” The monument also lists 10 residents who died during their wartime service. A small cannon stands next to the monument, which was donated by the Sons of the American Legion. 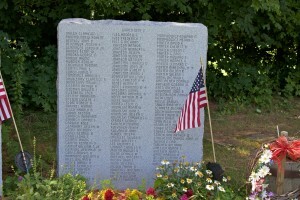 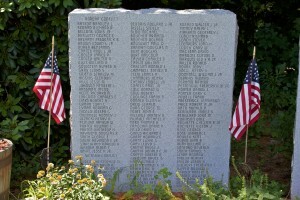 The World War II tablet features three columns of names and highlights five residents who died during the war. 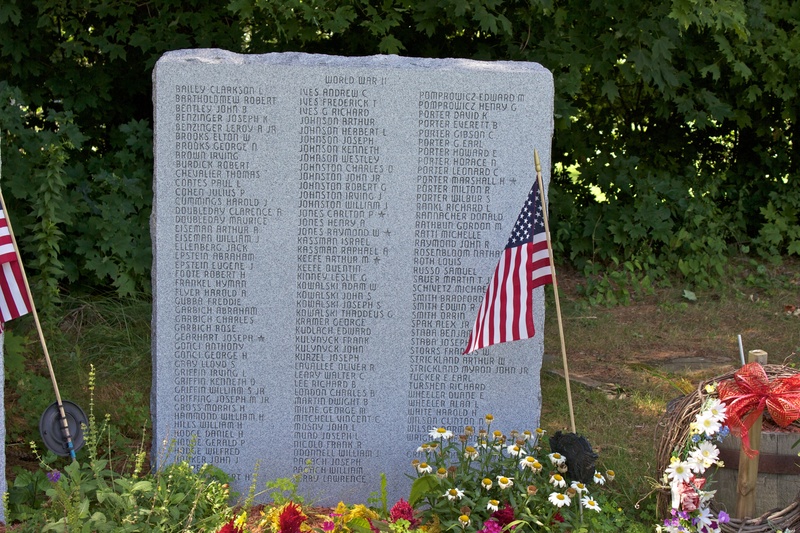 The Korea and Vietnam tablet also bears three columns of names. The monument highlights one resident killed in the war, and lists two columns of Hebron residents who served.